In true Debz style I got carried away, not only did I include all the required elements ... I added a few more for good measure! I cut a small 6cm x 6cm square from a selection of Xmas papers and edged them with a thin line of Stickles in either gold or silver. 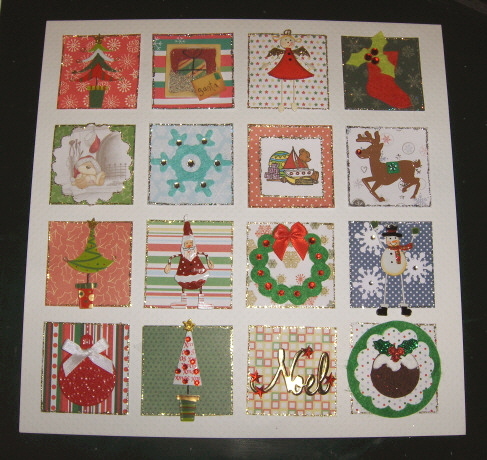 I then decorated each square with appropriately themed Xmas embellishments.